Made especially for Mitchell High School in Trinity Florida. 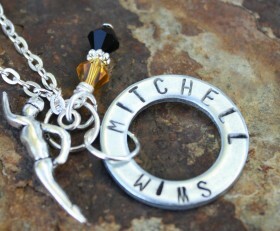 The round ring has Mitchell at the top and the bottom says Swim. 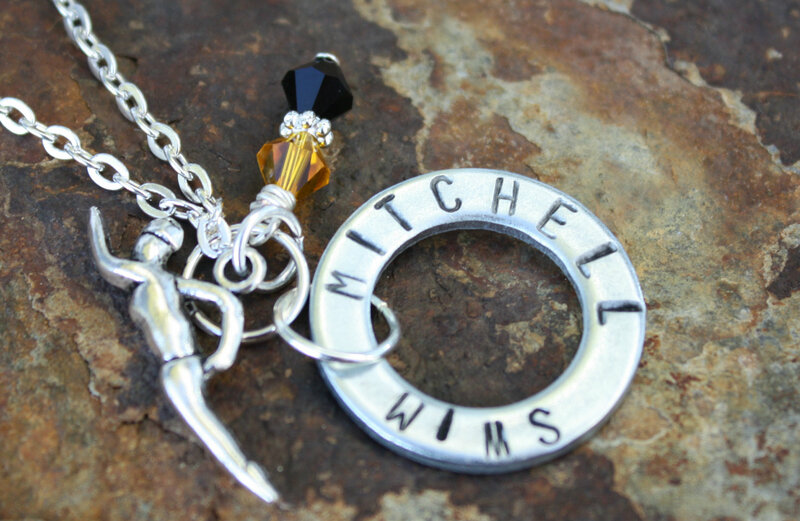 A swimmer charm is attached along with Swarovski crystals in Mitchell’s colors – black and gold. If you’d like a one for a different sport at Mitchell, let us know by filling out our Contact Form. Categories: High School Teams, Sports.